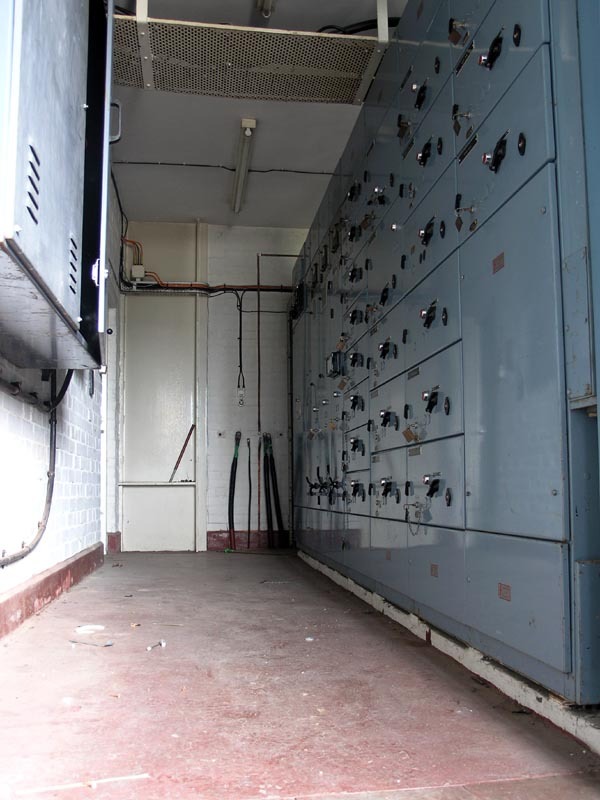 The switchgear is housed in the brick extension on the northern side of the building. The switchgear panels and cabinets are mounted centrally in the room with a passageway all around it. Looking west in the switchgear room.